In Gomukhasana, the person’s shape becomes like cow’s face that is why it is called Gomukhasana. This yoga pose is of spiritual importance and this asana is used in self-meditation and recitation, remembrance etc. The benefits of Gomukhasana are many as the asana provide relief in back pain, stomach disease, shoulder pain, abdominal disorder, indigestion, and intestinal disorders. Regular practice of the Gomukhasana removes diseases associated with scrotum. This posture should definitely be done for those women whose breasts remain small and undeveloped due to some reason. This asana enhances the beauty of women and it is also beneficial in the disease. 2 What Are The Asanas To Practice Prior To Gomukhasana? 3 How To Do Gomukhasana? 7 What Is The Right Time To Practice Gomukhasana? Gomukhasana (गोमुखासन) is a Sanskrit word which is made up of two words, in which the first word “Gau” means “Cow” and the second word “Mukh” means “Face”. The entire meaning of this asana is like the cow’s face. It is known in English as Cow Face Pose. Gomukhasana has been given this name because in this asana your hand, your thighs, and chest appear as the cow’s face. In this article, the methods of doing Gomukhasana and the benefits of the Gomukhasana are being explained. Along with this, information about the precautions related to this asana has also been given. What Are The Asanas To Practice Prior To Gomukhasana? If you are unable to straighten your spinal cord properly, then fold a blanket and keep it under your hips so that you do not have to face any difficulty in the beginning. If you have less flexibility in your shoulders, then you can face difficulty in holding hands. If this is the case, take a small towel and hold each end with both hands. After doing Gomukhasana, practice these Asanas to get the most benefits of Gomukhasana. If you are new to yoga or you have just started doing yoga or you are unable to put your hands behind the back, then take a towel in one hand and hold it with your other hand. What Is The Right Time To Practice Gomukhasana? There is a certain time to practice each yoga pose, so if you are planning to Gomukhasana, then try it in the morning to get the maximum benefit of Gomukhasana Yoga. To do this posture, it is necessary to keep your stomach empty for at least 10 to 12 hours; hence this yoga posture is considered very well in the morning. Dawn is the perfect time to practice the Gomukhasana. This posture of yoga can form an attractive shape, especially for women. 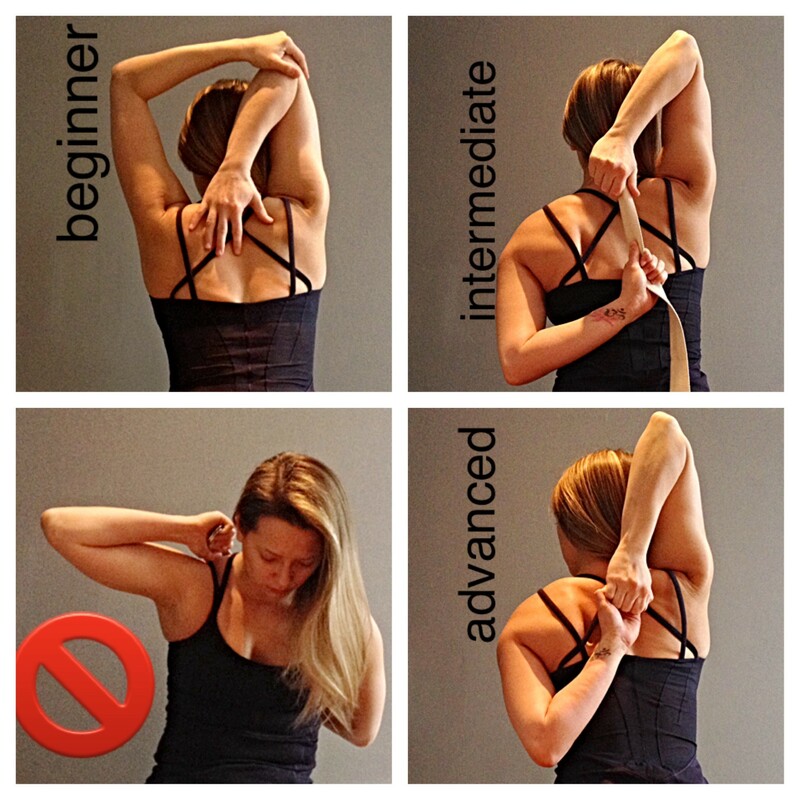 Women can increase the size of their breasts with Gomukhasana. And it can make your hips strong and well-shaped. By regularly practicing Gomukhasana, it stimulates the reproductive organs. And thus the regular practice of Gomukhasana increases the reproductive capacity. Gomukhasana is a very effective remedy for removing gynecological diseases. For the patients of diabetes, Gomukhasana is a good posture, this posture enhances the work of the kidney, which provides relief to the sufferers with diabetes. 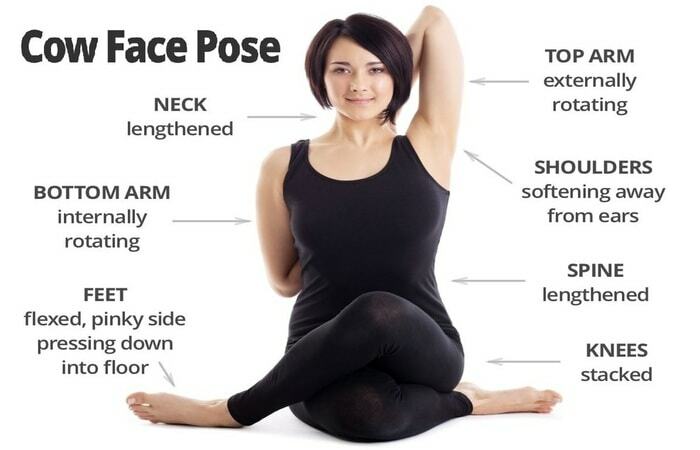 If you are a diabetic patient then do this asana regularly. Gomukhasana is a good posture to eliminate depression, stress or tension etc. It gives peace of mind by helping us to get rid of stress. By which you are able to do any work with full hearts. Gomukhasana helps in reducing joint pain. This posture reduces the pain of the shoulder pain, back pain, the pain of the tailbone, sciatica, pain of the thighs, and also strengthens the joints after reducing pain. This posture is beneficial for the respiratory patient; it spreads to the lungs, which causes oxygen to go higher in the body. This asana makes the chest healthy and cleanses the lungs; regularly practice it to get full benefits of Gomukhasana.